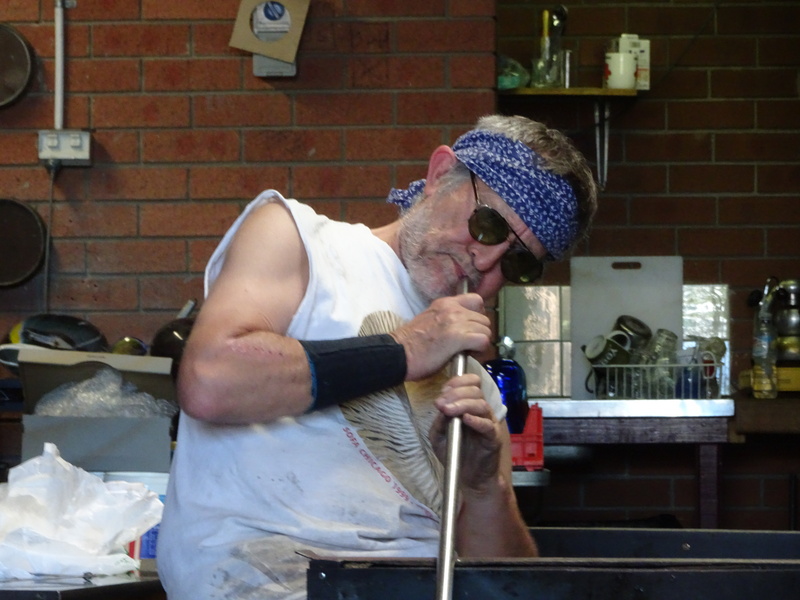 The wonderful glass blower of Blackheath. 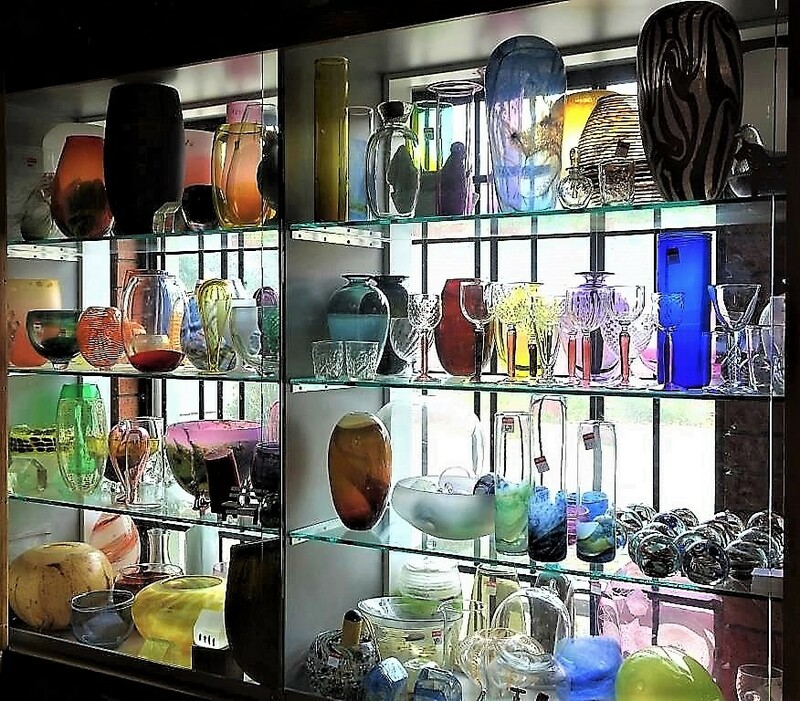 How lucky we Blackheathens are to have someone as talented as glass artist Keith Rowe in our midst. 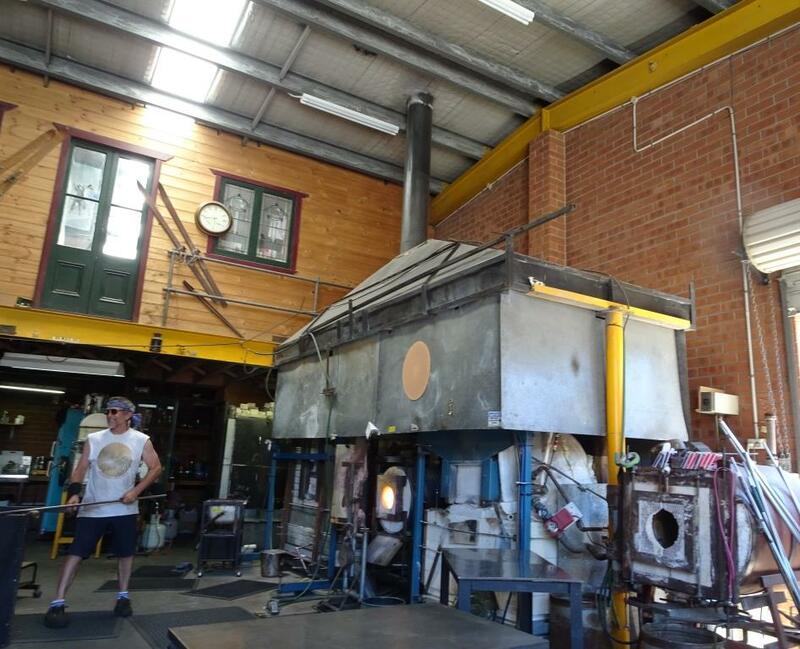 He built the huge furnace pictured below himself, back in 1990. 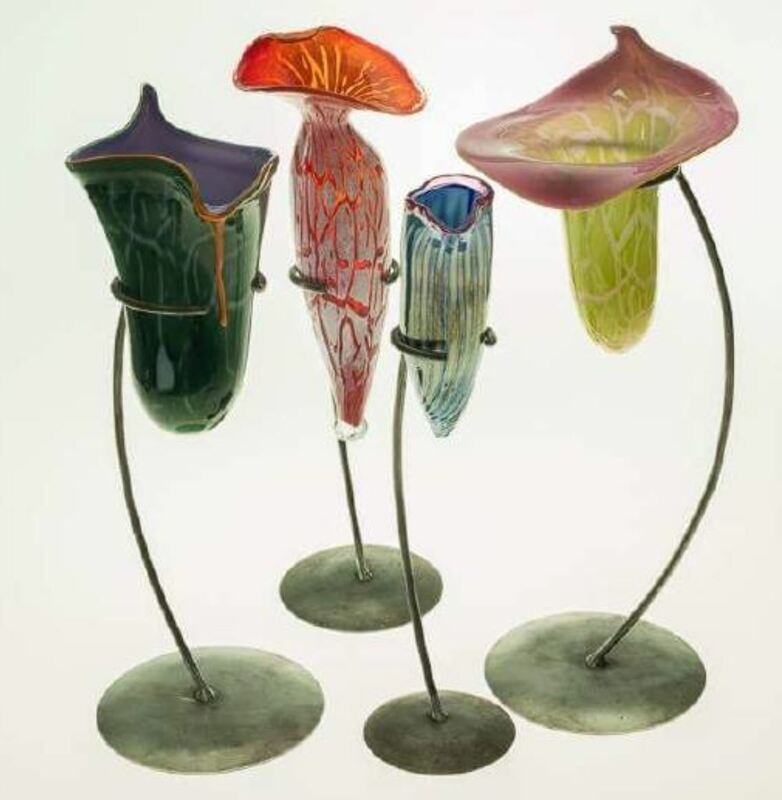 His work is represented in public and private galleries around the world. The studio is located at the Blackheath business centre, across the railway line in Station Street. Keith is very happy for people to go along and watch him work. He is usually there on Saturdays between 10am and 2pm, and similar hours on several other days during the week. It’s wise to check first though, to avoid disappointment (Mobile No. 0414 977 220). 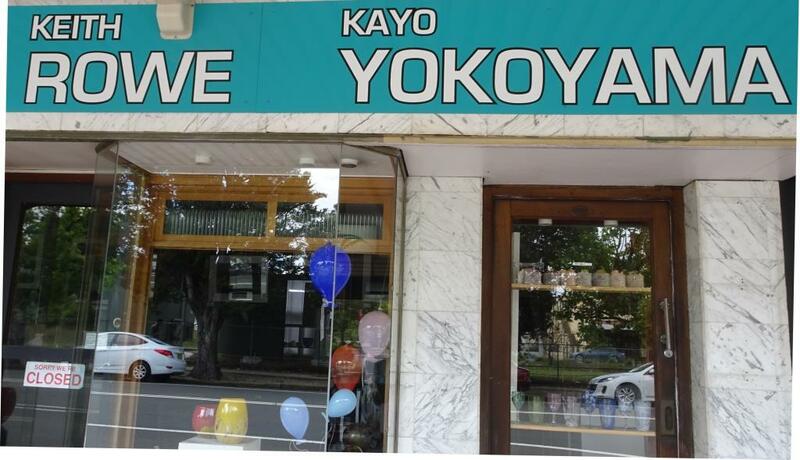 He and his partner Kayo Yokoyama have a retail shop in Blackheath village. 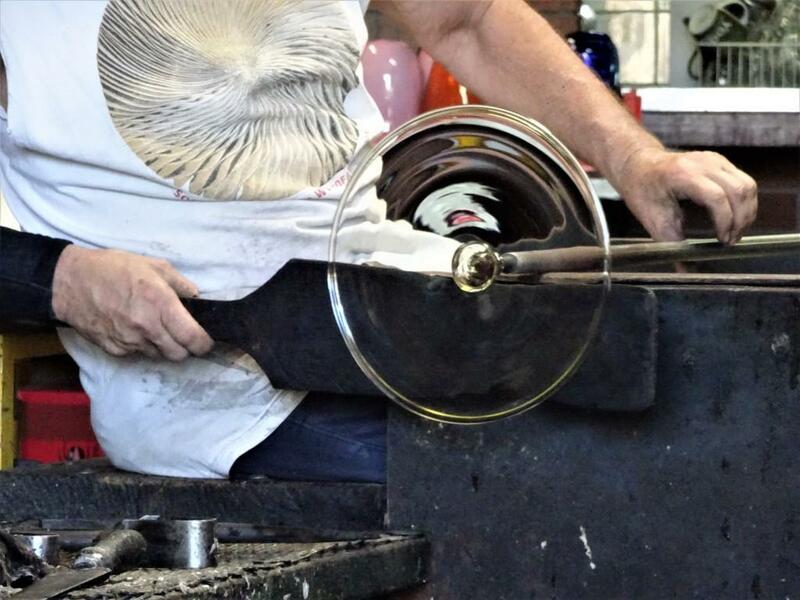 Kaya is a glass artist in her own right, and is also responsible for the creative engraving on many of Keith’s pieces. 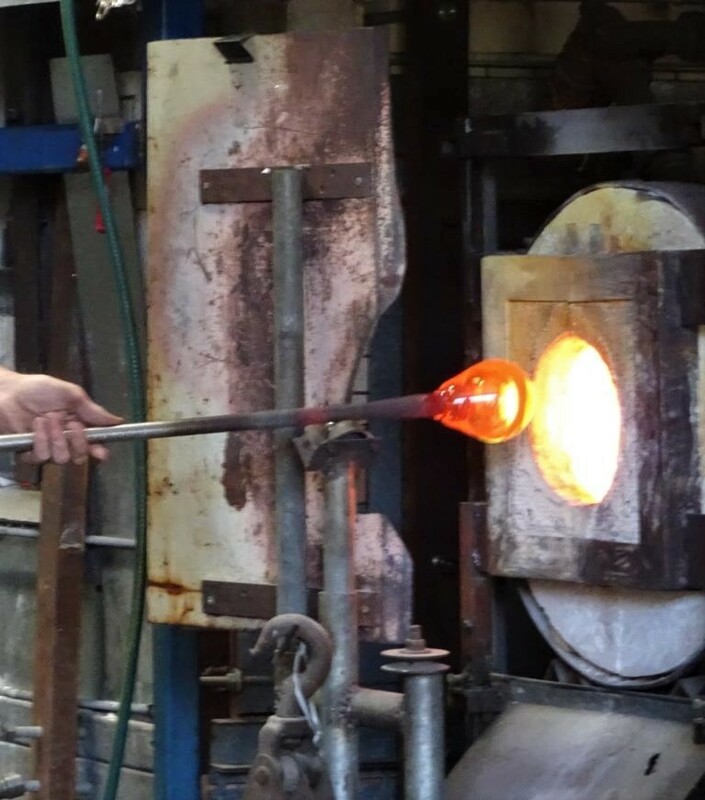 I love watching the whole, quite involved process of transforming a blob of molten glass into an object of beauty. 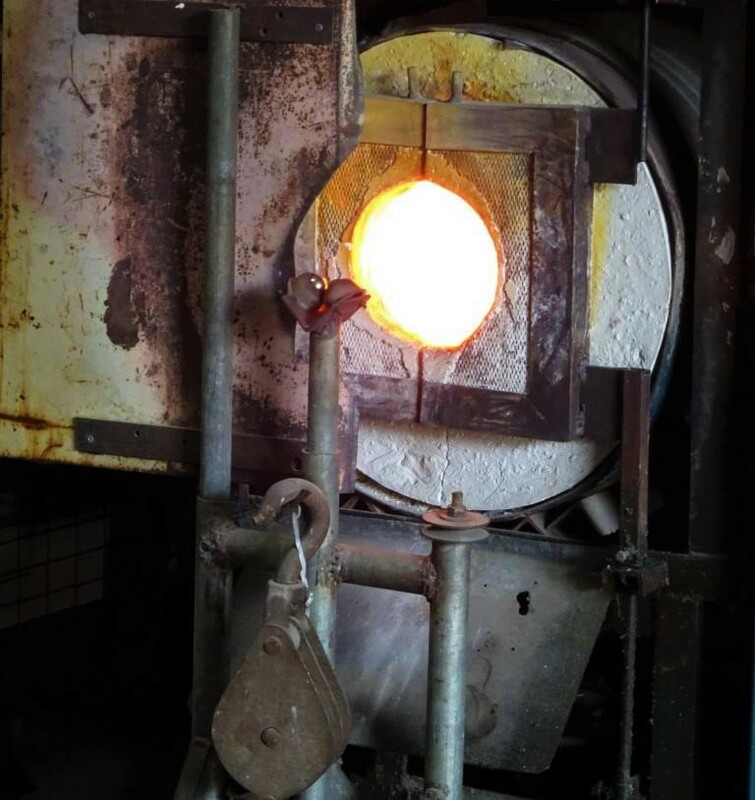 The glowing ‘glory hole’ of the furnace. 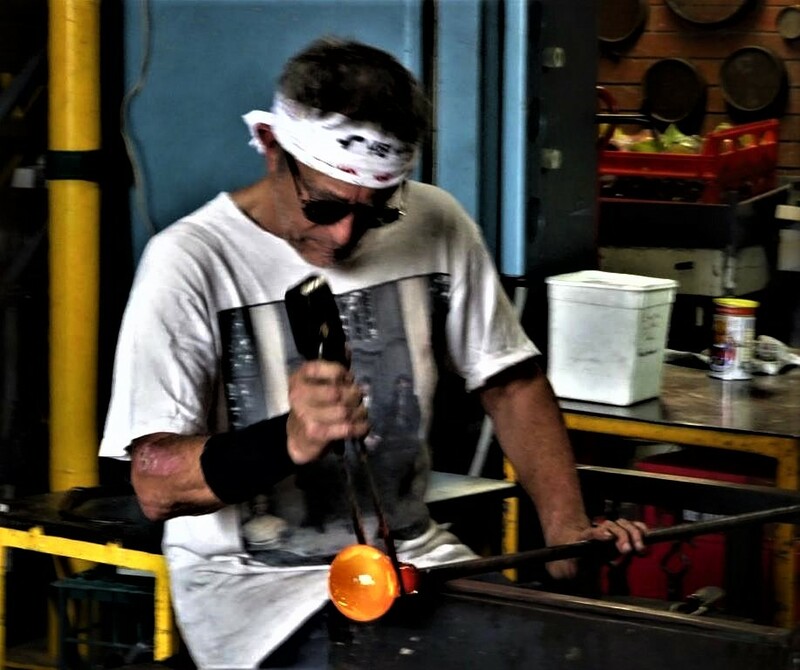 Keith’s work is very much inspired by nature and the beauty of his surroundings, including of course the Blue Mountains. 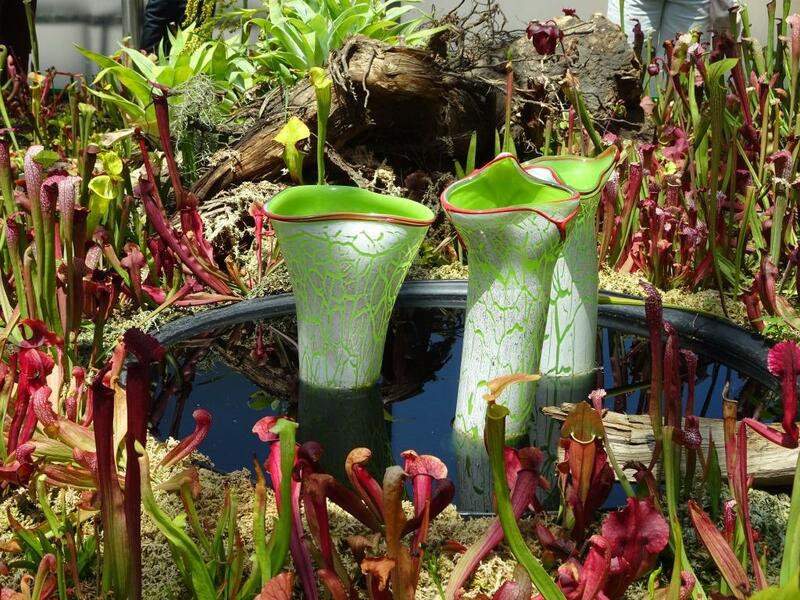 His art sculptures have pride of place at the current exhibition of carnivorous plants at The Calyx, in Sydney’s Botanical Gardens. The event continues until the end of February. What a great outing this makes for kids on school holidays. It’s free too, which is great for families. 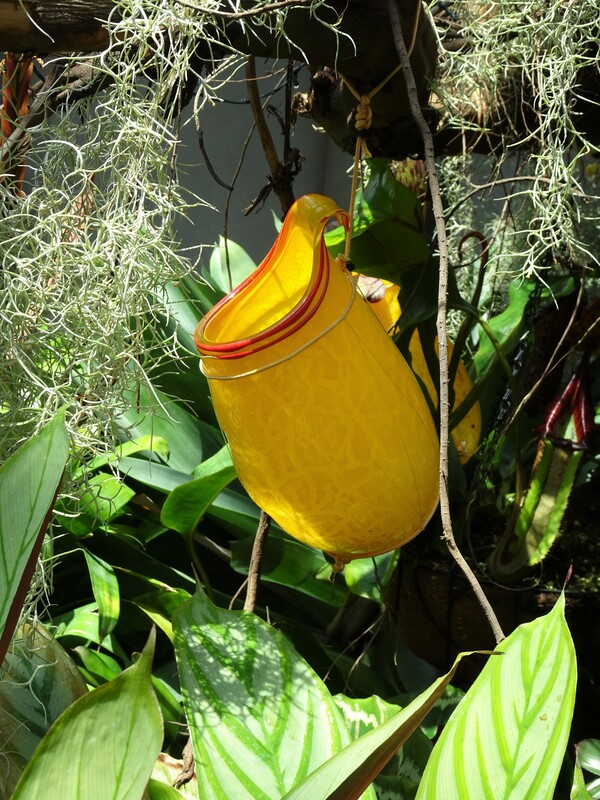 Just stunning, both plants and glass sculptures. Pictured below is a large range of pieces on display at the Station Street studio. Oh, and here is Pauline’s ‘insiders’ tip. There is oddments bin outside where you pick up an imperfect, but still lovely object for a mere $5. I found a great paperweight for my study. Here is a link to Keith’s WEBSITE. Yes, me too. Will be a nice warm place to visit in winter!